I got together with Mark Rein last week and he showed me an Unreal Engine 3 tech demo running on a 3rd generation iPod Touch. The same Unreal Engine 3 that powers Gears of War 2, running on an iPod Touch. The engine also works on the iPhone 3GS, and Mark tells me that we’ll see it on another mobile platform at CES (hmm...). The demo is both playable and has a flythrough. It’s using a modified Unreal Tournament level previously shown off at GDC. A virtual thumbstick on the left side of the screen controls your movement, while tracking your thumb in the lower right corner of the screen controls the camera. Just tap the screen to shoot. Mark said this is a tech test bed and they’re experimenting with several different control schemes including ones with tilt. In practice, the controls work well. This is just a demo so there was no score or point to the game, I just got to run around and kill a single respawning enemy. And it was fun. As you can see from the video the frame rate was smooth. There are more visuals to be added, as well as some polishing, but the demo looked very good for an iPhone game. It requires OpenGL ES 2.0, so the iPhone 2G and 3G won’t work, nor will the older iPod Touch models. It doesn’t really matter though, this is just a starting point. Epic isn’t announcing any sort of iPhone engine licenses nor are they entering the iPhone game market. Porting UE3 to the iPhone is simply one of many projects being worked on inside a newer, more svelte and innovative Epic Games (wait till you see what’s next...). Mark said they planned to make this available to licensees at some point in the near future. That’s great for end users because it means that any Unreal Engine licensee can now start playing around with making iPhone games based on the same technology. Unfortunately the recently announced, free to the public, Unreal Development Kit (UDK) is Windows only - the iPhone version isn’t included. I’d guess that at some point Epic will change that, it just makes too much sense. Doing so would enable a whole new class of iPhone game development using an extremely polished engine. It’s all about taking the portable market seriously. While I wouldn’t expect to see any Epic branded iPhone games anytime soon, eventually it wouldn’t be too far fetched to see a full port of Gears of War to something as small as an iPhone. NAND Flash capacities to support multiple 9GB games will be there in another few years, as will GPU horsepower. Remember that the SoC in the iPhone 3GS is only built on 65nm technology, Intel is about to release its first 32nm chips. You could cram four times as many transistors into the same space at 32nm, roughly 9 times as many at 22nm. Remember that graphics performance scales very well with additional transistors. At what point does the smartphone become more powerful than an Xbox 360? Sometime in the next 3 - 5 years for sure. And it’s not just about iPhone support. Mark told me that as soon as CES we’ll see Unreal Engine 3 on another mobile platform entirely. More announcements will happen throughout 2010. This isn’t a platform specific thing, it’s about bringing Unreal Engine 3 to the entire portable market. For the end user, Epic just improved the chances of getting better looking games on the iPhone and potentially other portable devices. For Epic, expanding UE3 into the portable market makes a lot of sense - it will eventually increase the base of paying UE licensees as well as help move the entire portable gaming industry forward. It’s not all altruistic though, by releasing iPhone and other portable versions of UE3 it helps secure Epic’s position as a supplier of game engines, regardless of platform. For an existing Unreal Engine licensee you now have the ability to compete in the growing iPhone market thanks to Epic, how nice. Once the phone gets powerful enough I expect it’ll be used for more than just playing simple games. As personal computing moves to more platforms and takes new forms, what we need are technologies that unify development across all devices. There’s no reason that a game you’re writing for an iPhone shouldn’t be built on the same foundation as something you’re writing for a high end console. The difference should be in the game, not in the engine. This latest move by Epic does validate whatever Apple has been quietly doing all along. From the investments in Imagination Technologies to hiring two previous AMD Graphics CTOs, Apple is clearly interested in gaming (which is funny given the poor state of gaming on the Mac). Historically Apple likes to enter markets when it believes that it can do something better or at least different. We saw that with the iPhone. The question is, how does Apple plan on providing a different take on gaming? The remaining hurdles are significant, but not unsurmountable. Playing anything other than a point and touch game on the iPhone can be frustrating. Epic doesn’t address that, but someone else surely will when the time is right. Engine houses like Epic enable game developers to focus on building the game they want to build, not the underlying technology. With UE3 on the iPhone, we will eventually see more and hopefully better games on future versions of the platform. 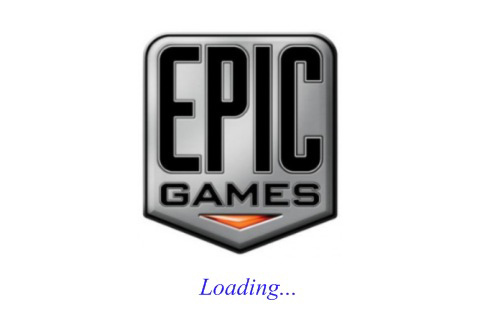 Not to mention whatever other mobile platforms Epic plans on porting UE3 to as well. what about the Wii epic tards? you know the biggest selling console worldwide? "what about the Wii epic tards? you know the biggest selling console worldwide?"